Yet another teenage boy has been arrested over the TalkTalk hacking incident which witnessed the spillage of millions of customer details. This time the boy is a 16-year-old from Norwich who was arrested yesterday evening for suspected violations of the Computer Misuse Act. His home was also searched by the Metropolitan Police Cyber Crime Unit and officers from the National Crime Agency, according to a statement issued by the Met (spotted by the Register). Previous arrests include a 20-year-old man from Staffordshire who was picked up back on Saturday, and bailed on Sunday. Another 16-year-old from Feltham was arrested last Thursday, and previous to that a 15-year-old boy from County Antrim was taken into custody on October 26 – both these boys have also been bailed. All four were arrested under suspicion of offences contravening the Computer Misuse Act. The attack on TalkTalk's website was described as a sustained intrusion and was followed by a ransom demand. The company has said that full credit card numbers weren't stored on its site, rather parts of the numbers were hidden which theoretically should make them unusable by the malicious parties who may have got their hands on them. 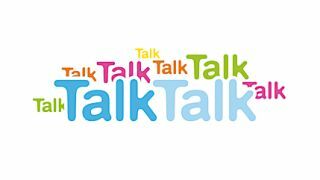 TalkTalk is potentially facing a large bill regarding customer compensation, with solicitors already looking to mobilise class action lawsuits.